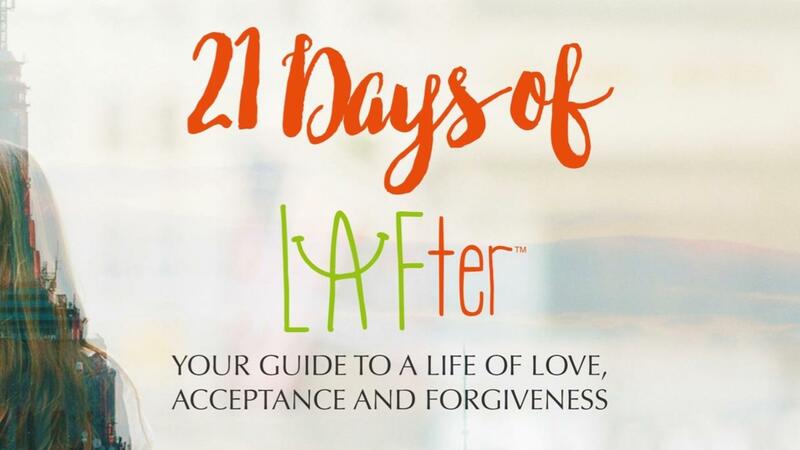 21 Days of LAFter was created to inspire, motivate and help you discover the ways of finding a happier and more fulfilled life through Love, Acceptance and Forgiveness. For over 8 years, I have dedicated my life to researching, learning, putting into practice and teaching others the best ways to living a healthier and happier life. To see people like you taking action and working both internally and externally in their wellbeing, fills me with gratitude and joy. It doesn’t matter in what stage of your life you are, what I do know is that you deserve to be healthy and happy and you deserve to be free from anything that has been holding you back. Maybe it’s lack of love for yourself, or maybe you haven’t been able to forgive someone from your past. Maybe you have been looking for answers on how to release stress or declutter your life. To learn strategies and put them into practice doesn’t happen right away. It takes time and consistency. Gain access TODAY to start this never ending and awesome journey of self discovery and LAFter.